The oversized BOOM! 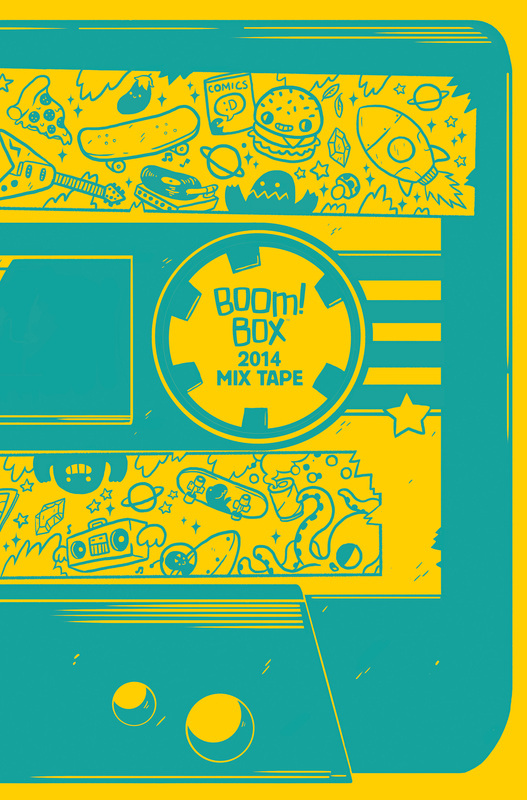 Box 2014 Mix Tape #1 arrives from BOOM! Box in comic shops on December 24th with a cover price of $9.99 under Diamond order code OCT141168. Both the main cover and the retailer incentive cover are illustrated by Jake Lawrence. The Final Order Cutoff deadline for retailers is December 1st. Full press release below. If you’re loving The Midas Flesh, Lumberjanes, Teen Dog, and Cyanide & Happiness, and are excited for our comics adaptation of the Munchkin card game, delve into a world of like-minded stories! From the wacky to the touching, you’ll never know what you’re going to get. Here's a tip: This collection features a brand-new Lumberjanes story written by Noelle Stevenson (Nimona) and the first-ever Munchkin comic by John Kovalic, the illustrator of the popular card game. The oversized BOOM! 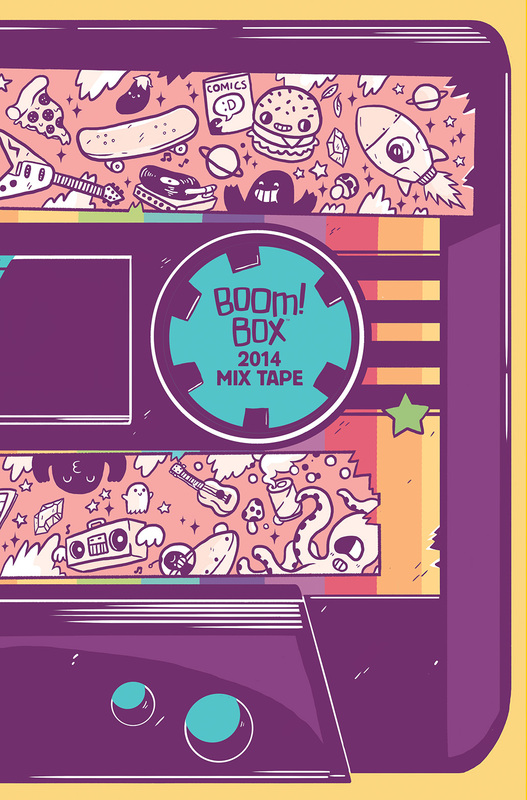 Box 2014 Mix Tape #1 arrives from BOOM! Box in comic shops on December 24th with a cover price of $9.99 under Diamond order code OCT141168. Both the main cover and the retailer incentive cover are illustrated by Jake Lawrence (Teen Dog). The Final Order Cutoff deadline for retailers is December 1st. Not sure where to find your nearest comic retailer? Use comicshoplocator.com or findacomicshop.com to find one! It’s also available for order directly from boom-studios.com.